Andrea Camilleri’s Inspector Montalbano novels have become an international sensation, with fans eagerly awaiting each new installment. 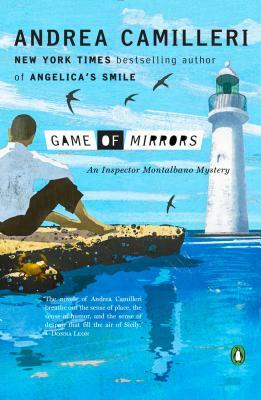 In Game of Mirrors, Inspector Montalbano and his colleagues are stumped when two bombs explode outside empty warehouses—one of which is connected to a big-time drug dealer. Meanwhile, the alluring Liliana Lombardo is trying to seduce the Inspector over red wine and arancini. Between pesky reporters, amorous trysts, and cocaine kingpins, Montalbano feels as if he’s being manipulated on all fronts. That is, until the inspector himself becomes the prime suspect in an unspeakably brutal crime. Andrea Camilleri is the bestselling author of the popular Inspector Montalbano mystery series, as well as historical novels that take place in nineteenth-century Sicily. He lives in Rome. Stephen Sartarelli is an award-winning translator and poet. He lives in France.